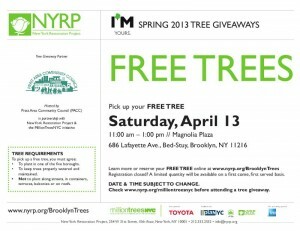 The New York Restoration Project is giving away free trees to homeowners for planting on their property this spring. 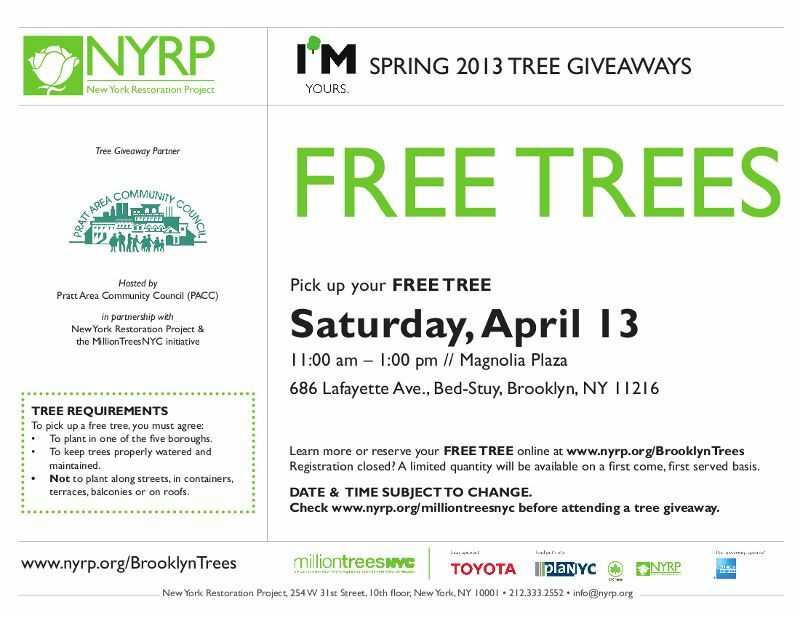 There are a limited number of trees available, and you must register in order to be eligible. The registration dates vary for different locations. There is an online form for the PACC giveaway here.